April see’s the build up of practice display slots from both the BBMF and the Typhoon display, The latter doing his first 500ft display on the 1st. The work to dismantle the Luftwaffe mobile base on Sierra is coming on at a fast pace with Wagons departing to Kings Lynn Docks for loading onto a Container Ship, back to Germany with full containers. 1st Fri – Log thanks to Garf. ZK349/ GN-A/29(R)Sqn special/Typhoon FGR4 c/s “Typhoon 35” -Display. ZJ815/EB-H/41(R)TES/Typhoon T3 c/s “Rebel 41” – PD at Valley. ZJ802/DW/XI(F)Sqn/Typhoon T3 c/s “Typhoon 64” PD at Valley. No.078/YE/EAT00.319/Xingu c/s “Cotam 1726” – Parked on the ASP. 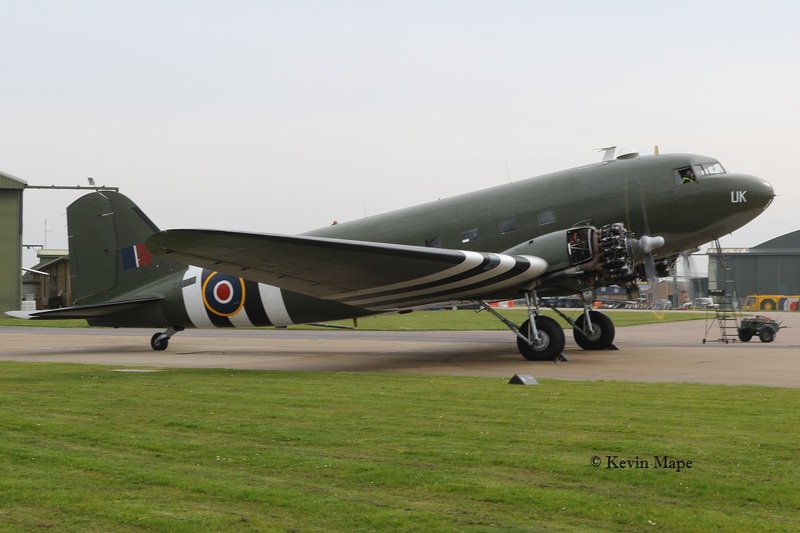 ZA947/UK/BBMF/Dakota II – Engine runs. 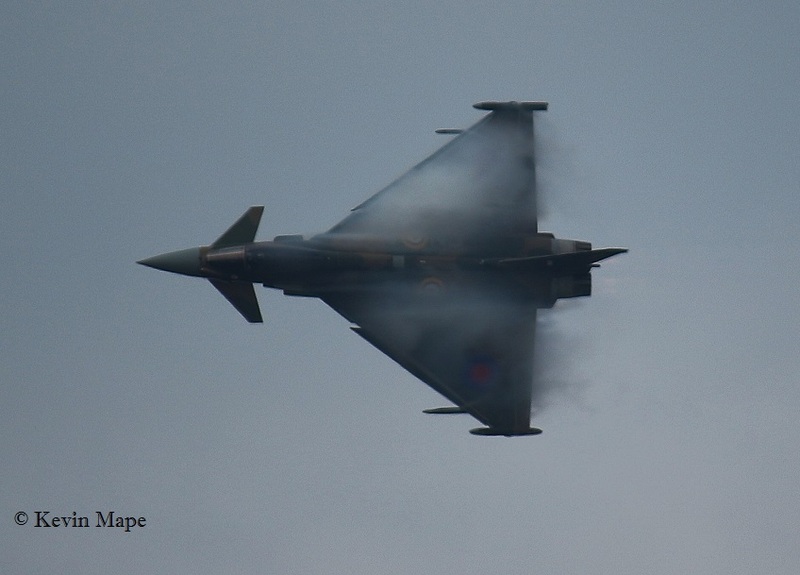 ZJ913/QO-M/3(F)Sqn/Typhoon FGR4 c/s “Zenith 11” – Flypast at Horse guards parade plus air spare. G-BYWI/WI/3FTS/Tutor T1 c/s “Cranwell 83” – Overshoot. 4th Mon Log thanks to Susie Matson. G-MAJH/JH/Eastern/Jetstream 41 c/s ” East flt 102″ – in “103” out. ZH106/06/8sqn Special?Sentry AEW1 c/s ” NATO 30″ – Overshoot to Air Livery Manchester. ZK349/GN-A/29(R)Sqn special/Typhoon FGR4 c/s “Typhoon 35” – Display. 5th Tue Log thanks to Garf. 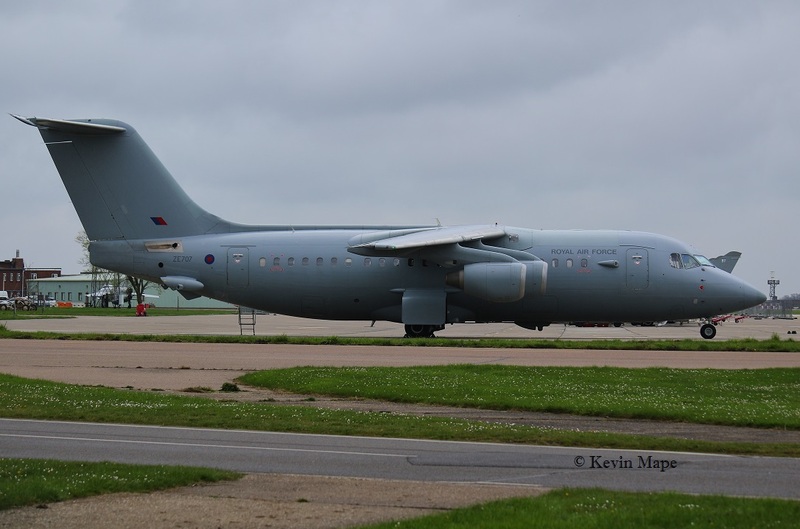 ZE700/32(TR)Sqn Special/BAE 146 CC2 c/s “Ascot 1317” – Departed. TE311/4D-V/BBMF/Spitfire LF.XVIe c/s “Spitfire 92” – Display. 6th Wed Log for AM thanks to Steve. G-MAJU/JU/Eastern/Jetstream 41 c/s “East Flt 101” in “102” out. P7350/EB-G/Spitfire IIa c/s “Spitfire 9*” – Display. P7350/EB-G/Spitfire IIa c/s “Spitfire 90” – Display. Ground log thanks to Colin Everett. 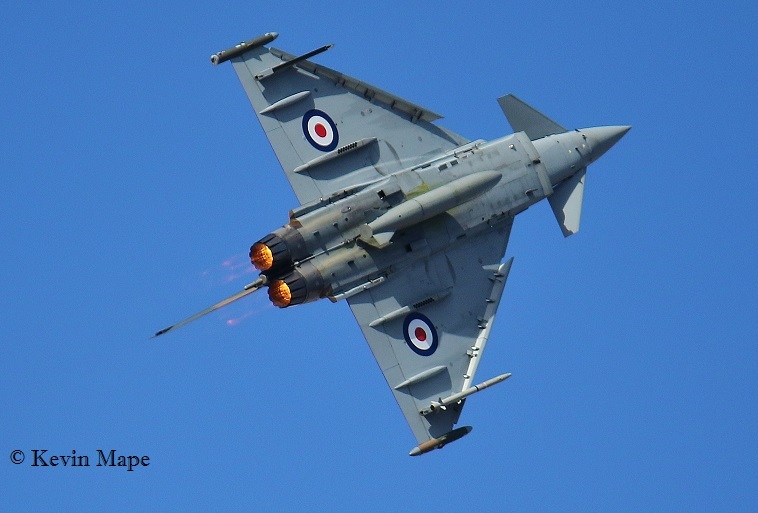 ZK349/GN-A/29(R)Sqn/Typhoon FGR4 c/s “Typhoon 35” – 1-15pm Display. 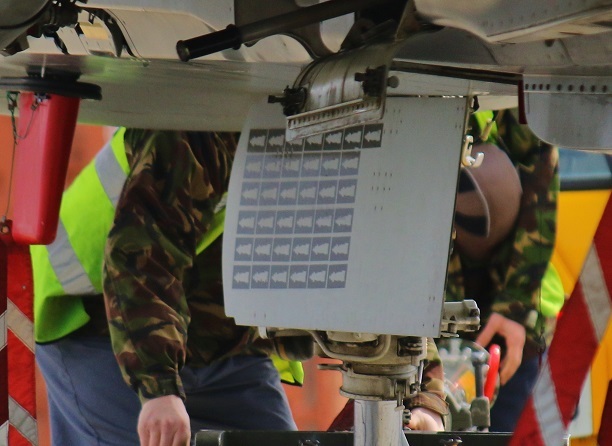 ZK305/EE/Unmarked/Typhoon FGR4 – 37 Bomb symbols on the nose wheel door. 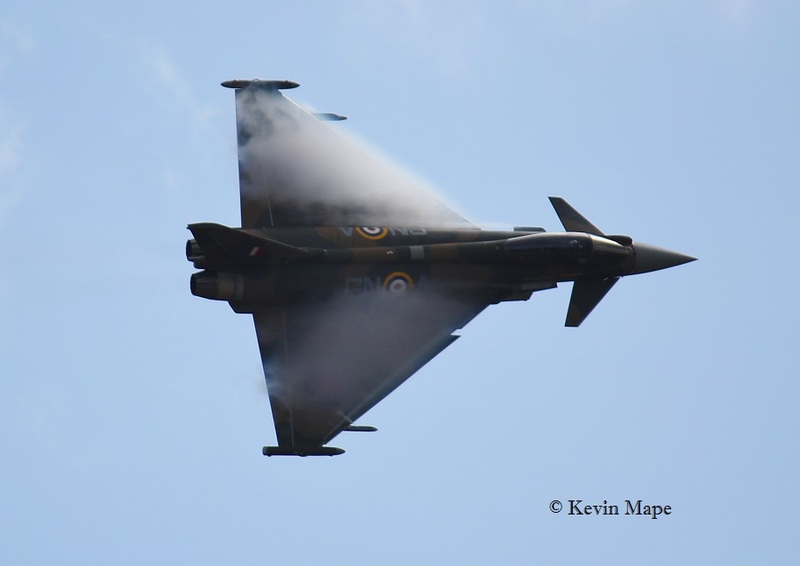 ZK349/GN-A/29(R)Sqn/Typhoon FGR4 c/s “Typhoon 35” – 4-00pm Display. 29(R)Sqn -: BT, GN-A, BP, BK, BM, EBE, EBL, BH, BE, BG, BL. The four Shelters on the ASP are being dismantled. 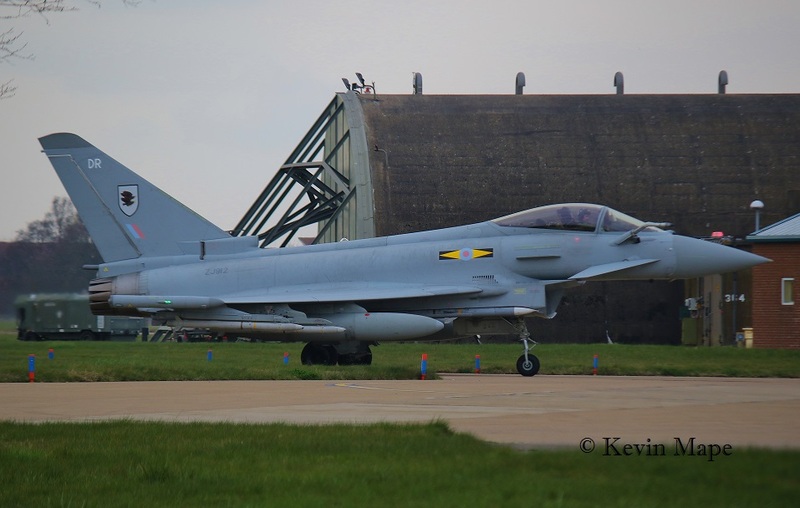 ZK314/EO/Unmarked/Typhoon FGR4 – Noted on the Wash Pan from Foxtrot. ZJ949/H/1435 Flt/Typhoon FGR4 – Towed onto the ASP (TMF). ZK349/GN-A/29(R)Sqn/Typhoon FGR4 c/s “Typhoon 35” – Flypast at Norwood. TMF – ZK305/EE ,ZK379/BB – Both noted outside. 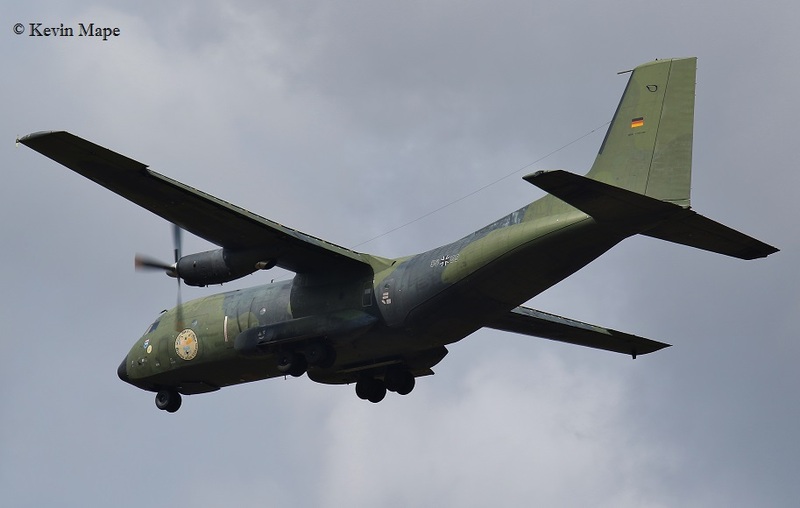 51+14/LTG63/C-160D Transall c/s ” German Air Force 074″ – Departed. ZH103/03/8Sqn/Sentry AEW1 c/s “NATO 3*” – Departed. 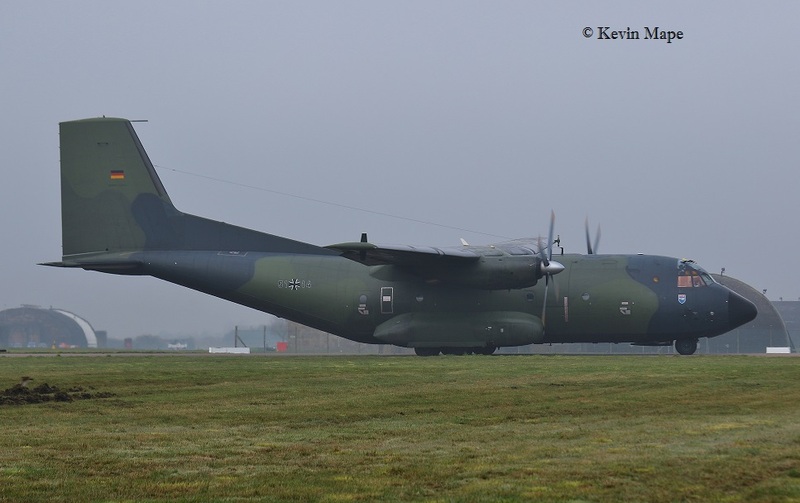 50+55/LTG63/C-160D Transall c/s “German Air Force 062” – Parked on Sierra. ZA607/EB-X/41(R)TES/Tornado GR4 – To the Hush house. XI(F)Sqn – DC, DW, DA, DG, DZ, DL, DB. 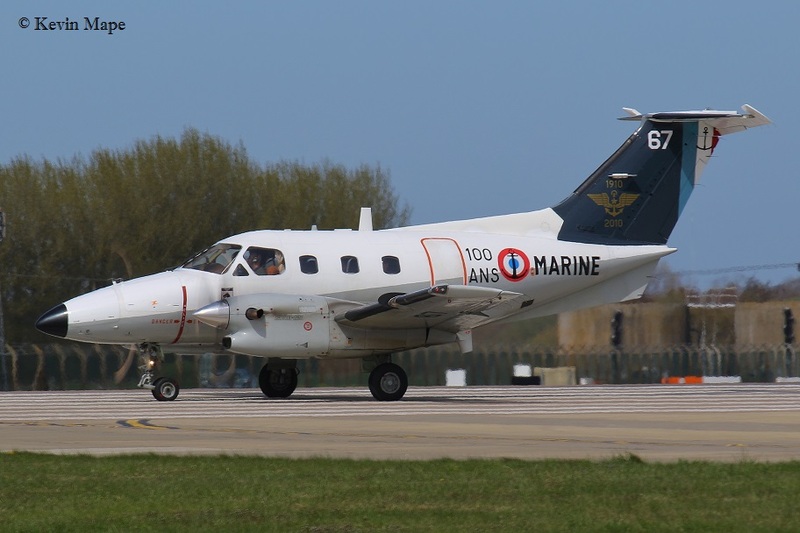 G-MAJU/JU/Eastern/Jetstream 41 c/s “East Flt 102” – In “103” – Out. Overfly – 2 x F-22 Raptors + 2 x F-15 + KC-135R. TE311/4D-V/BBMF/Spitfire LF.XVIe – Noted outside BBMF. ZK308/BW/29(R)Sqn/Typhoon FGR4 c/s “Typhoon 35” – Display. 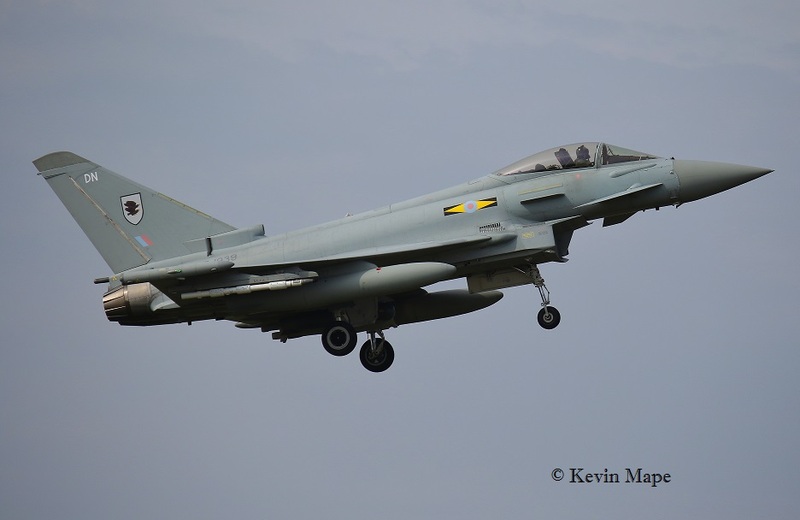 ZJ939/DN/XI(F)Sqn/Typhoon FGR4 c/s “Typhoon 65” – First flight in marks ex QO-R. To Leeming. ZJ805/BD/29(R)Sqn/Typhoon T3 c/s “Zircon 31” – PD at Marham. XX255/CL/100Sqn/Hawk T1A c/s “Cuthroat 1” – Parked on Sierra. ZA947/UK/BBMF/Dakota III c/s “Dakota 95” – First flight of the year. 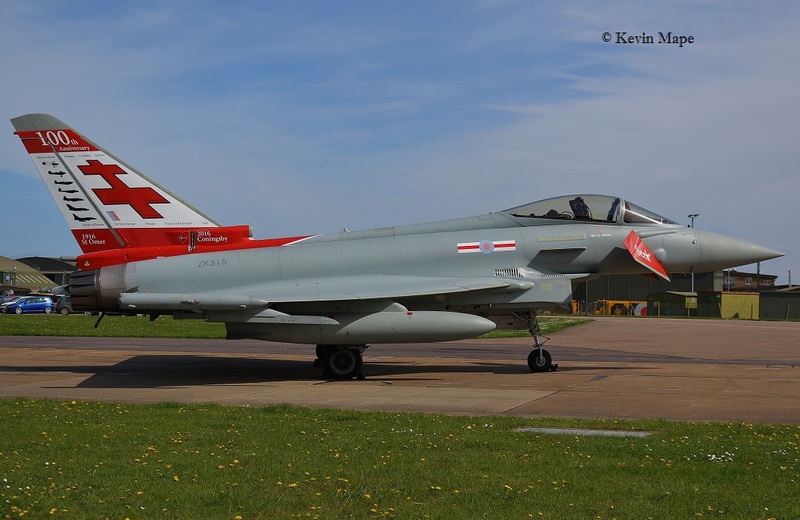 TMF – ZJ949/H/1435 Flt/Typhoon FGR4 – Moved from South side to North side of TMF. ZJ923/Unmarked/Typhoon FGR4 – Towed from Echo to Hangar 2. ZJ935/DJ/XI(F)Sqn/Typhoon FGR4 c/s “Typhoon 12” – Delivery to Lossiemouth. ZJ914/DZ/XI(F)Sqn/Typhoon FGR4 c/s “Razor 02” – Returned on a PAN. XW216/33Sqn/Puma HC2 c/s “Vortex 304” – Parked on Sierra. ZJ923/Unmarked/Typhoon FGR4 – Towed from Hangar 2 to Echo HAS5. 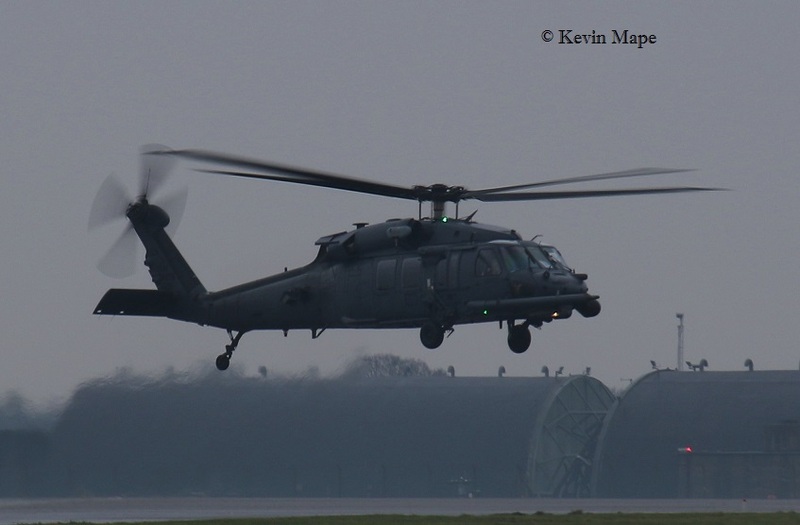 XW216/33Sqn/Puma HC2 c/s “Vortex 304” – Departed. QRA – radio check – ZJ912/DR & ZJ937/DT. LF363/JX-B/BBMF/Hurricane IIc c/s “Hurricane 02” – Display. LF363/JX-B/BBMF/Hurricane IIc c/s “Hurricane 96” – Display. TE311/4D-V/BBMF/ Spitfire LF.XVIe – c/s “Spitfire **” – Display. XX332/CD//100Sqn/Hawk T1A c/s “Savage 02” – parked on Sierra. ZK351/Unmarked/Typhoon FGR4 c/s “Typhoon 35” – Display. 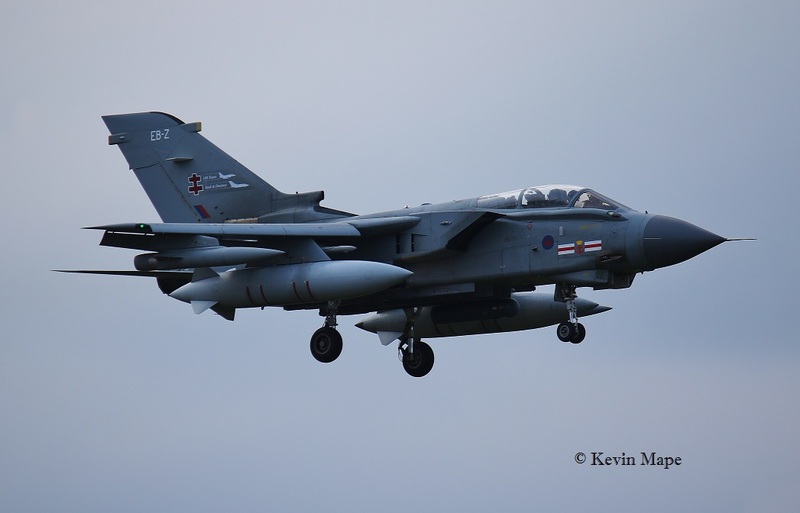 ZA607/EB-X/41(R)TES/Tornado GR4 c/s “Rebel 84” – f/f since returning from the USA. XX332/CD/100Sqn/Hawk T1A c/s “Savage 02” – parked on Sierra. ZJ913/QO-M/3(F)Sqn/Typhoon FGR4 – Towed to the south side. 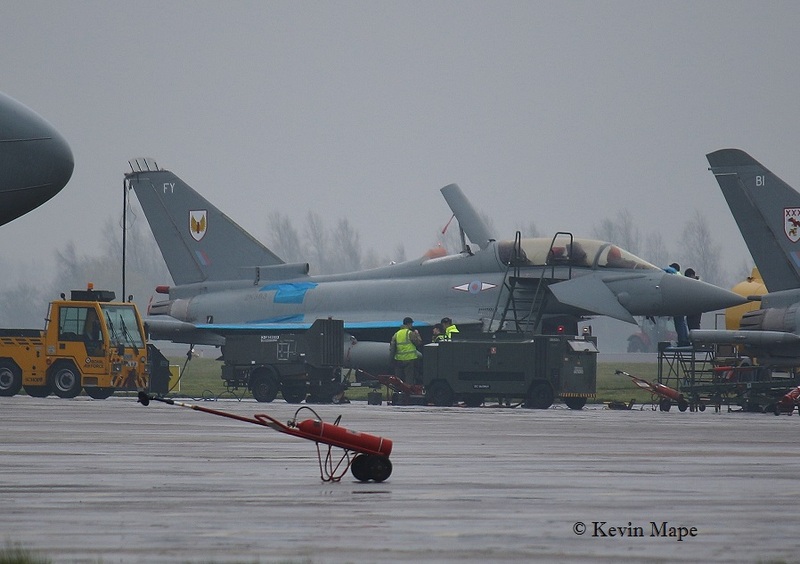 ZJ815/EB-H/41(R)TES/Typhoon T3 – Towed onto the ASP. P7350/EB-G/BBMF/Spitfire IIa c/s “Spitfire **” – Display. 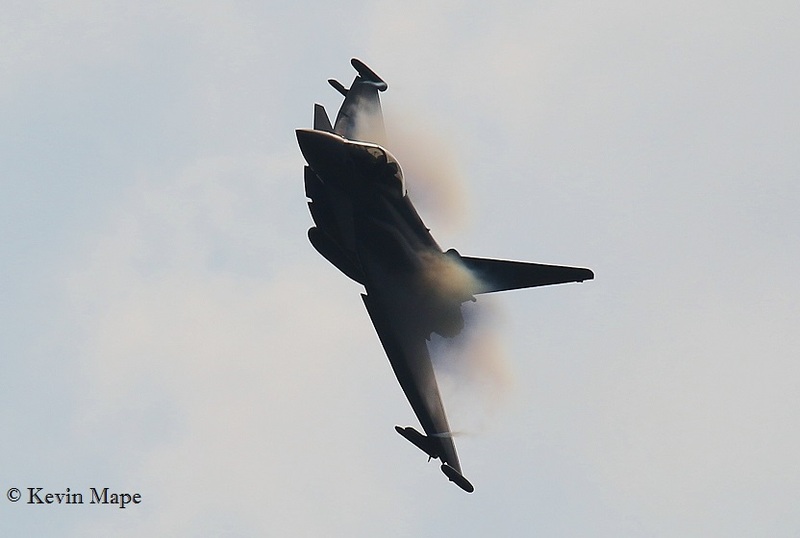 ZJ813/BL/29(R)Sqn/Typhoon T3 c/s ” *********” – Returned after Lightning strike – Deployed Chute. ZJ691/5Sqn/Sentinel R1 c/s “Ascot 7351” – Parked on Sierra. N/S. 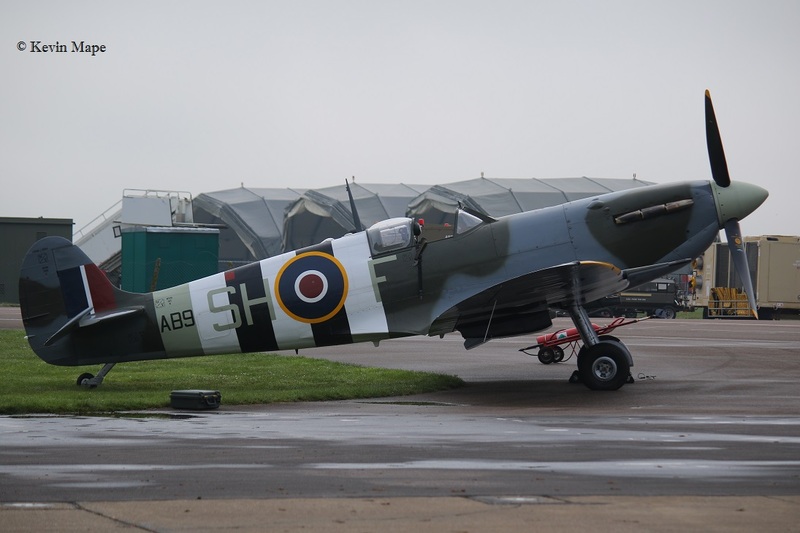 P7350/EB-G/BBMF/Spitfire IIa c/s “Spitfire 9*” – Display. 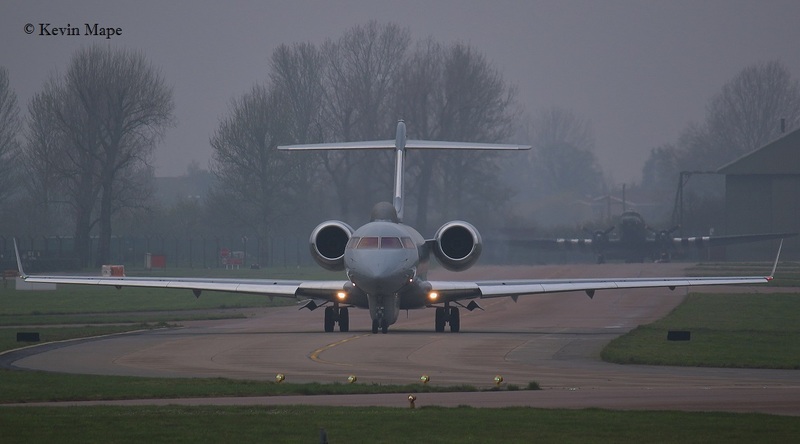 ZJ691/5Sqn/Sentinel R1 c/s “Fabric 01” – Departed. ZA947/UK/BBMF/Dakota III c/s “Dakota 95” – Rollers – Returned with a problem. ZK379/BB/Unmarked/Typhoon T3 – rolled out of the Paint shop f/n as code only. G-MAJH/JH/Eastern/Jetstream 41 c/s “East flt 102” in “103” -out. XX258/CE/100Sqn/Hawk T1A c/s “********” – Departed . XX332/CD/100Sqn/Hawk T1A c/s “********” – Departed . G-MAJH/JH/Eastern/Jetstream 41 c/s “East flt 104” in “105” -out. G-MAJH/JH/Eastern/Jetstream 41 c/s “East flt 102” in “102” out. ZE707/32(TR)Sqn/ Bae 146 C3 c/s “Ascot 1220” – Parked on the ASP. ZH103/03/8Sqn/Sentry AEW1 c/s “NATO 34” – Departed. ZE707/32(TR)Sqn/ Bae 146 C3 c/s “Ascot 1220” – Departed. ZH103/03/8Sqn/Sentry AEW1 c/s “NATO 34” – Overshoot then landed. No.082/YG/EAT00.319/Xingu c/s “Cotam 1731” – Parked on the Sierra. ZJ814/BH/29(R)Sqn/Typhoon T3 c/s “********” – Landed. 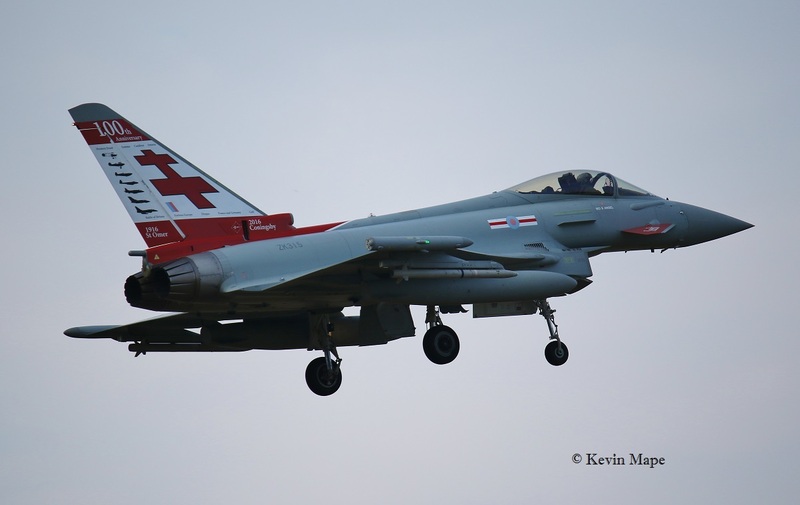 ZK313/Unmarked/Typhoon FGR4 c/s “********” – Landed. 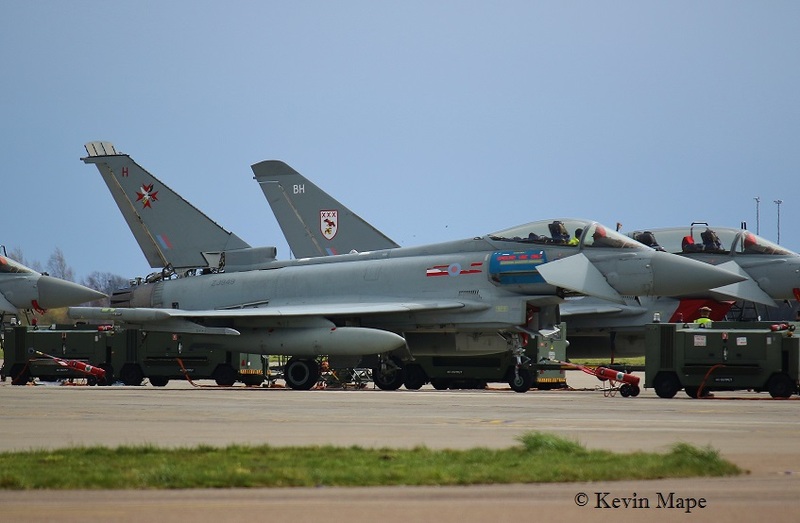 ZJ812/BK/29(R)Sqn/Typhoon T3 c/s “Typhoon 30” – Landed. ZK331/BT/29(R)Sqn/Typhoon FGR4 c/s “*******” – Landed. 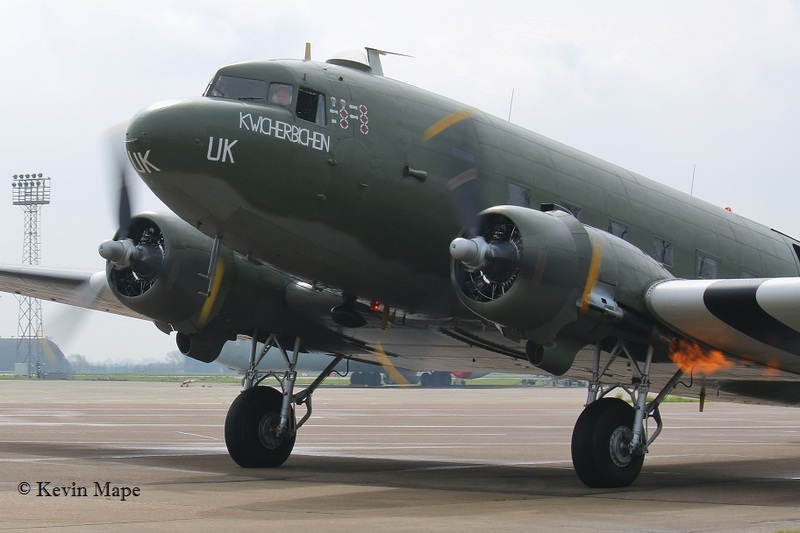 ZA947/UK/BBMF/Dakota III c/s “Dakota 95” – Landed. No.083/ZE/EAT00.319/Xingu c/s “Cotam 1735” – Parked on Sierra. PZ865/EG-S/Hurricane IIc c/s “Hurricane 02” – Display. ZJ937/DT/XI(F)Sqn/Typhoon FGR4 c/s “November 8 Charlie 47” – QRA practice. PZ865/EG-S/Hurricane IIc c/s “Hurricane 96” – Display. 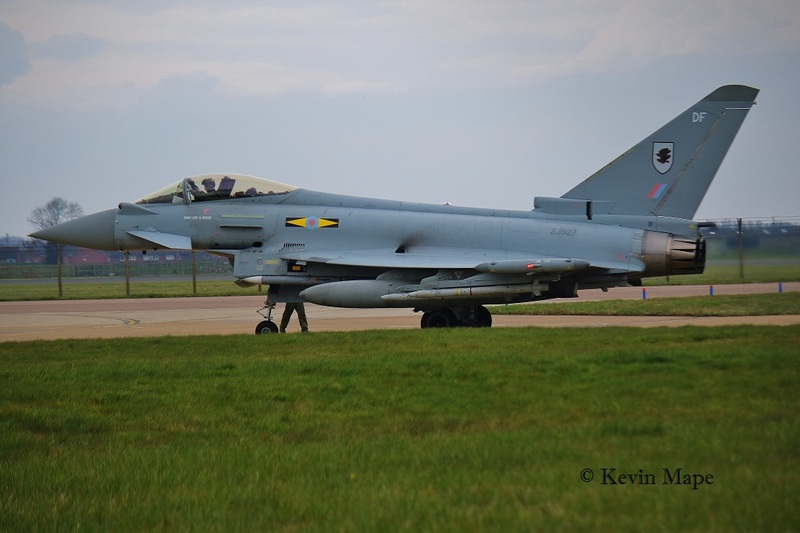 ZJ936/QO-C/3(F)Sqn/Typhoon FGR4 – Towed from Foxtrot to HAS2 for QRA duty. ZK348/FN/Unmarked/Typhoon FGR4 – Towed from QRA back to XI(R)Sqn. 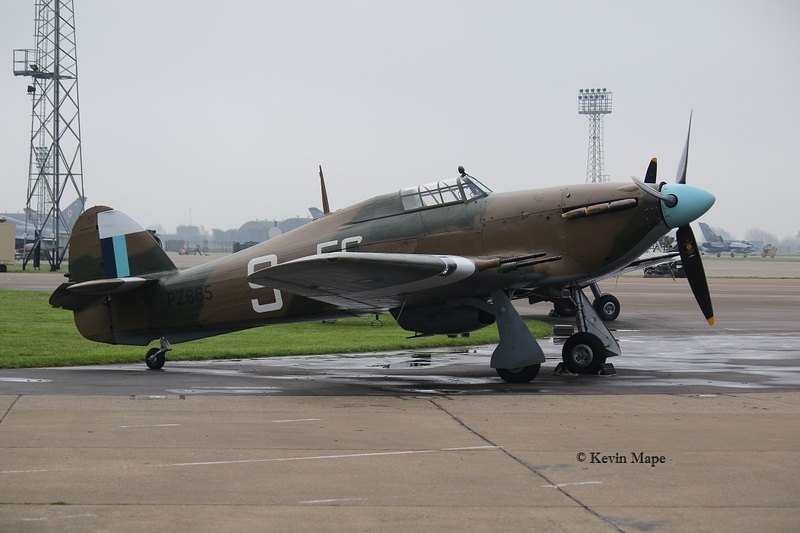 MK356/5J-K/BBMF/Spitfire LF.IXe – Noted outside BBMF. 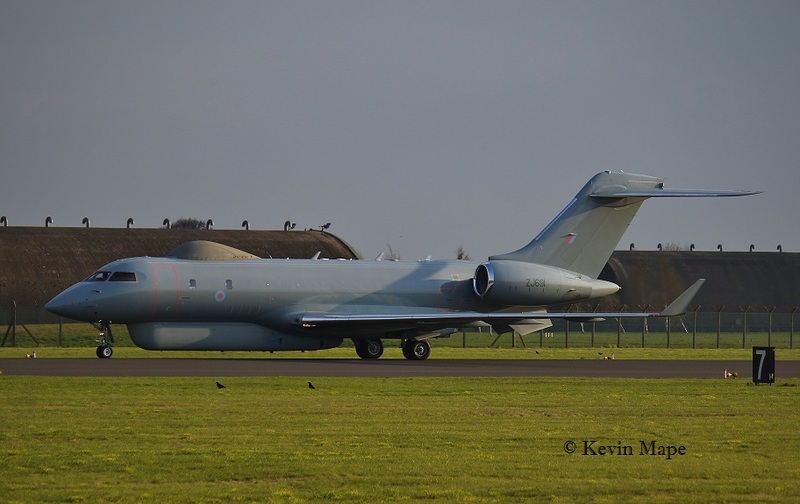 ZH103/03/8Sqn/Sentry AEW1 c/s “NATO 34” – Landed. 20th Wed Camera log thanks to Patrick Day. ZH103/03/8Sqn/Sentry AEW1 c/s “NATO 35” – Departed. G-MAJH/JH/Eastern/Jetstream 41 c/s East Flt 102″ in “103” out. E93/705-RZ/EAC00.314/Alpha Jet E c/s “French Air Force 6441” – Parked on Sierra. E93/705-RZ/EAC00.314/Alpha Jet E c/s “French Air Force 6441” – Departed. 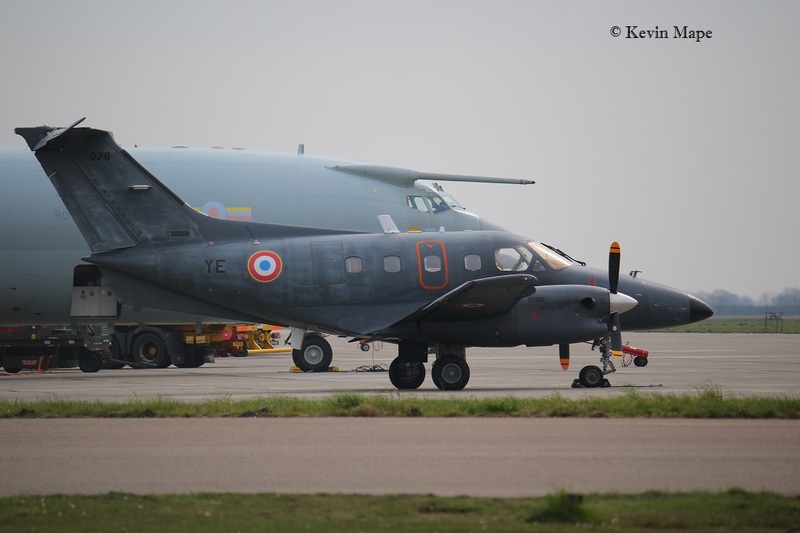 ZH103/03/8Sqn/Sentry AEW1 c/s “NATO 35” – Landed. ZK325/FK/1(F)Sqn/Typhoon FGR4 – Noted on the Wash pan. 21st Thur Log thanks to Rich. ZA947/UK/BBMF/Dakota III c/s “Dakota 95 – Display. 67/28F 100 year marks/Xingu c/s “Cotam 1725” departed. 25th Mon Log thanks to Garf & Mark. TE311/4D-V/BBMF/Spitfire LF XVIe c/s “Synchro 2” – Display. ZA947/UK/BBMF/Dakota III c/s “Dakota 98” – Display. LF363/JX-B/BBMF/Hurricane IIc c/s “Synchro 1” – Display. ZA947/UK/BBMF/Dakota III c/s “Dakota 93” – Display. ZJ815/EB-H/41(R)TES/Typhoon T3 c/s “Rebel 56” – To Boscombe Down. ZK459/X/45(R)Sqn/King Air B200GT c/s “Cranwell 70” – Overshoot. ZJ944/Unmarked/Typhoon FGR4 c/s “Zenith 12”. ZJ913/- – First noted unmarked. ZJ803/BA/29(R)Sqn/Typhoon T3 – to Wash pan. 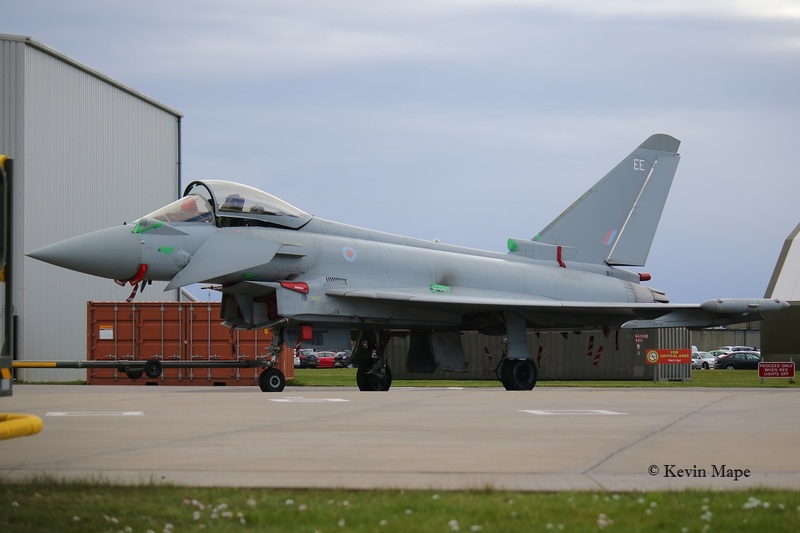 ZJ913/Unmarked/Typhoon FGR4 c/s “Typhoon 18” – Delivery to Lossiemouth. ZJ936/QO-C – QRA radio check. Noted in Echo – DN,DG,DW,DA. ZK354/Unmarked/Typhoon FGR4 – Engine runs on the ASP. ZJ250/50/DHFS/Squirrel HT1 c/s “Army Air 729” – Parked on Sierra. 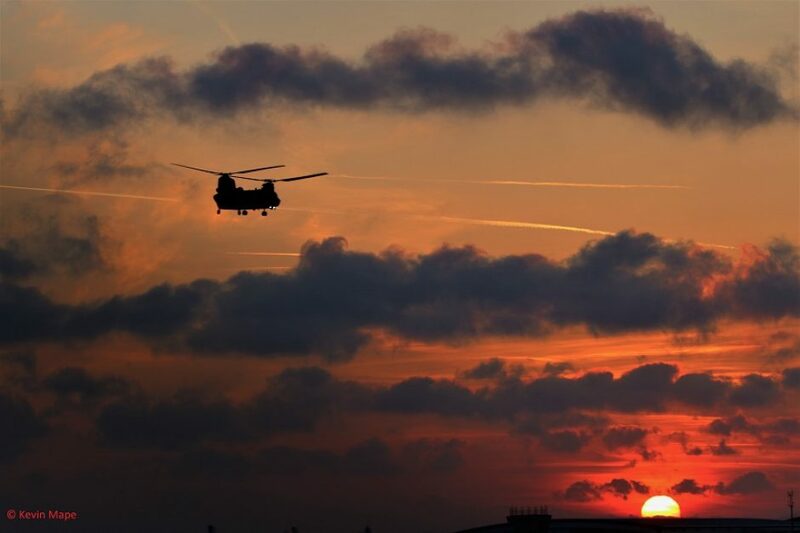 ZH897/QinetiQ/Chinook HC3 c/s “Boeing 72” – Overfly North to south. 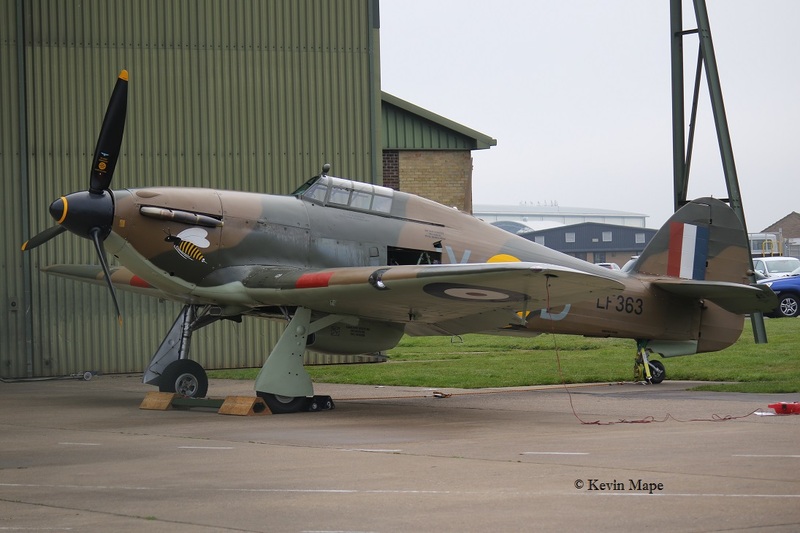 ZK379/BB/Unmarked/Typhoon T3 – Moved from TMF to Hangar 2. 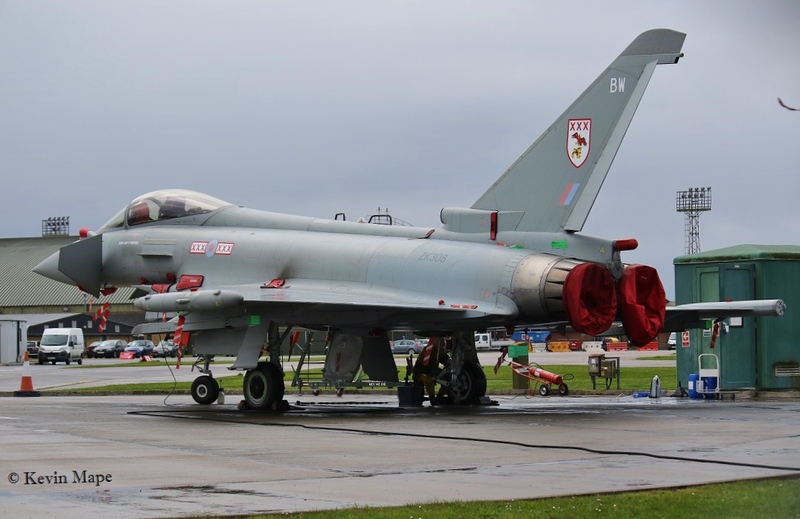 ZJ949/Unmarked/Typhoon FGR4 – f/n without marks – TMF to the ASP. ex H 1435 Flt. ZJ190/Apache AH1 c/s “Vulture 1” – Overfly North to south. 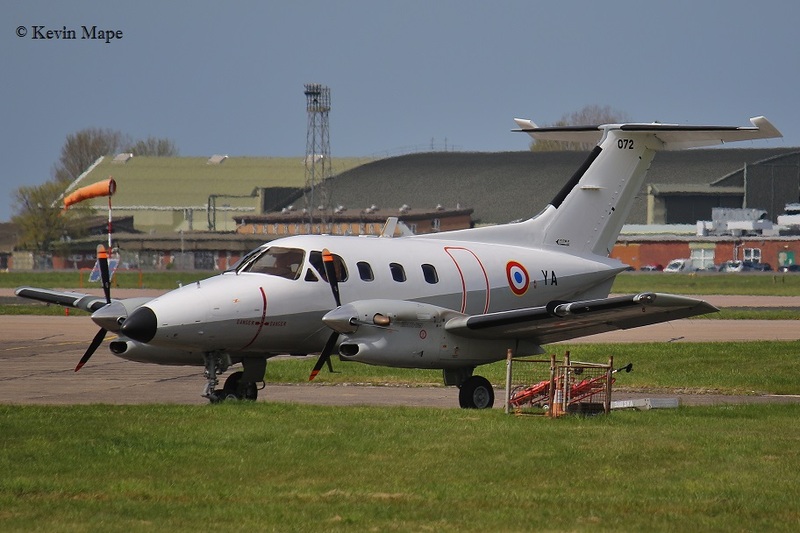 G-MAJJ/Eastern/Jetstream 41 c/s “East Flt 108″in “109” – out. ZA708/18/78Sqn/Chinook HC3 c/s “Vortex 577” – Parked on Sierra – Fuel stop. – Departed to Holbeach. ZH107/07/8Sqn/Sentry AEW1 – Noted on jacks. ZJ912/DR/XI(F)Sqn/Typhoon FGR4 – Towed into Echo. G-****/Gama Avn/King Air B200 – Parked on Sierra. ZK353/BQ/29(R)Sqn/Typhoon FGR4 c/s “Typhoon 35” – PDA display. ZJ***/Apache AH1 – Overfly North to south. XX265/CP/100Sqn/Hawk T1A c/s “********” – Departed. 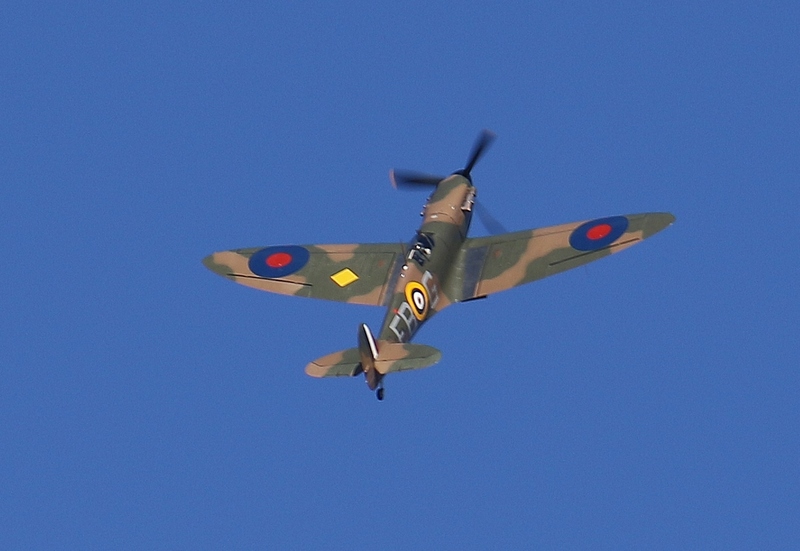 MK356/5J-K/BBMF/Spitfire LF IXe c/s “Spitfire 90” – Test flight. ZH897/QinetiQ/Chinook HC3 c/s “Boeing 397” – Overfly- Wittering to Donna nook. ZF317/1FTS/Tucano T1 c/s “Lima 46” – Overshoot. ZF287/1FTS/Tucano T1 c/s “Lima 11” – Overshoot. ZZ519/Royal Navy/Wildcat HMA2 – Overfly – Donna nook to Wittering. *ZJ927/DF was noted 18th in full marks being towed into Echo, Flew unmarked on 21st as “Typhoon 17” to Lossiemouth. ZK369 – To XI(F)Sqn – f/n in Echo 5/4/16. (4th)ZK383/FY/1(F)Sqn – Noted on the ASP. (5th)ZK369/Unmarked – Noted in Echo. (6th/7th)(11th) ZJ949/H/1435 Flt – Noted on the ASP. (8th) ZK305/EE noted outside TMF. (8th) ZK379/BB noted outside TMF. (11th) ZK305/EE noted on the ASP. (14th) ZK379/BB -Rolled out of the paint shop – f/n code only.